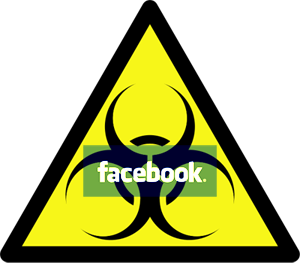 Facebook virus spreads via photo album chat messages ! A new social networking worm in the vein of Koobface is currently doing the rounds. A Naked Security reader, George, who had been exposed to it on Facebook reported it to us - unlike the majority of Facebook scams we report, this one actively infects your computer with malware instead of simply tricking you into taking surveys and passing on messages to other users. The link in his Facebook chat from a friend pointed to an app.facebook.com/CENSORED link. Typically when you go to a Facebook app page it prompts you to add the application and grant it permission to post on your behalf or read your profile data. The scary part about this one is that it immediately prompts you to download a "FacebookPhotos#####.exe" file with no prompting or clicking required. The screen reads "Photo has been moved. This photo has been moved to other location. To view this photo click View Photo." If your computer has not already downloaded the malware, the "View Photo" button will download the virus for you. It is really unfortunate that Facebook scams are moving back towards spreading malware. Fortunately, users of Sophos Anti-Virus had proactive protection from this threat with both our HIPS and suspicious file detection technologies; this particular strain is now identified by Sophos as W32/Palevo-BB. The good news is that even as I was writing this article, Facebook removed the malicious application from its service. But there are probably many more applications like this one making the rounds, so, as always, beware of unusual messages from friends whether they are in email, on their walls, or in an instant message.